Can I have the Milleneum Rod? Nick adventures alot and finds alot of things, and Marik had to have done something with the Millenium Rod, unless he dropped it. So what do you say? Please? It's my second favorite...my favorite is Bakura's, the Millenium Ring. Nick blue hair and green eyes. He always wears a blue jacket, even though he is a freshman, therefore in Slifer Red at Duel Academy. 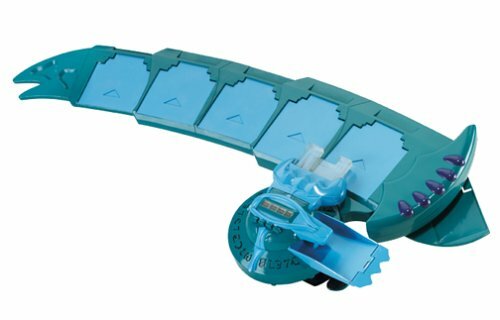 He has three different disks, the Academy disk, a Battle City disk, and an Chaos Duel Disk (Look Below) he found abandoned by a canyon. 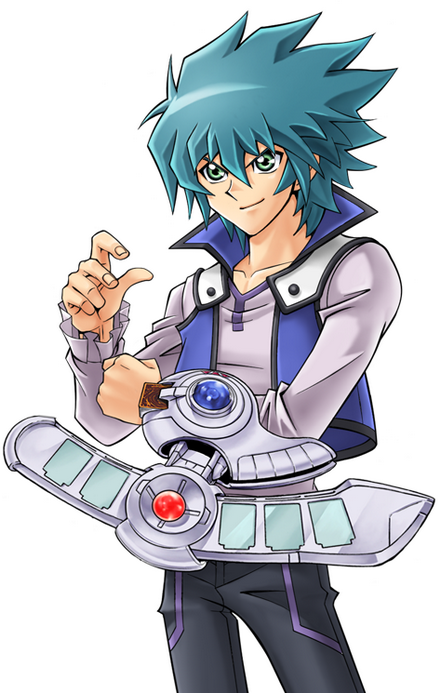 Personality: When he is dueling, he is very cocky, but outside of dueling he is quiet, he wishes to obtain all Millineum items, not to use their dark power, but to prevent an evil doer to use it. History: When Nick was young, he would always pretend that he was his favorite card, Blue-Eyes Toon Dragon. He kept his distance from his peers, though when they mentioned the word "duel" he would grab his deck and run to them. He has decided to take the entrance exam and join Duelist Academy, even though he scored 100% on his written exam and won his test duel without losing a single life point, he was still put in Slifer Red, but he feels he deserves to be in Obelisk Blue, so he always wheres his blue jacket/vest.